Useful for conversion of international powers supply units to Australian supply. This Battery Pack is a 'must have' battery backup power supply unit for Bella Rotary Pen Machines. Minimum quantity for "Bella - 1 Prong Needle" is 10. Minimum quantity for "Bella - 2 Prong Needle" is 10. Minimum quantity for "Bella - 3 Flat Needle" is 10. Minimum quantity for "Bella - 3 Prong Needle" is 10. Minimum quantity for "Bella - 4 Flat Needle" is 10. Minimum quantity for "Bella - 5 Prong Needle" is 10. Minimum quantity for "Bella - 6 Flat Needle" is 10. Minimum quantity for "Bella - 7 Prong Needle" is 10. For Rotary Pen Cosmetic Tattoo Machine suitable for 1 prong needle. Minimum quantity for "Bella - Extra Small Tips" is 10. For Rotary Pen Cosmetic Tattoo Machine, suitable for all flat needles. Minimum quantity for "Bella - Flat Tips" is 10. 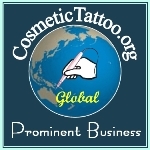 For Rotary Pen Cosmetic Tattoo Machine. Minimum quantity for "Bella - Front Casing (Dragon BM8)" is 10. For Rotary Pen Cosmetic Tattoo Machine, suitable for 5 prong and 7 prong needles. Minimum quantity for "Bella - Large Tips" is 10.